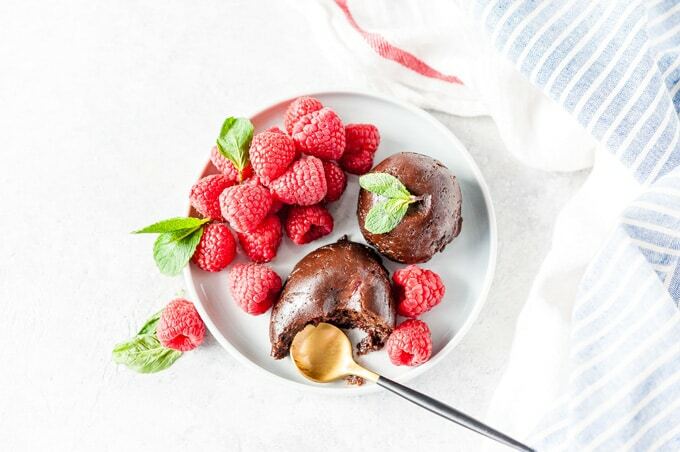 These 3 Ingredient Instant Pot Nutella Cake Bites are rich and flavourful. Perfect little bites to finish your dinner. They are soft and luscious. Great to celebrate Valentine’s Day or Mother’s Day. I don’t have a fancy story about how this recipe for 3 Ingredient Instant Pot Nutella Cake Bites came to be. There’s no epiphany. No connection to my childhood like many of my recipes. Nothing I saw or tasted inspired it. It was my daughter’s half-birthday. She’s still at the age when half-birthdays mean something to me (obviously they mean nothing to her). I wanted to surprise her and make cake yet I didn’t want to actually bake a full cake (or turn on the oven). So, that’s how this Instant Pot Nutella Cake got created. I was being a mom with no time. 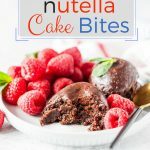 These 3 Ingredient Instant Pot Nutella Cake Bites are absolutely perfect to make if you have a toddler in tow and no time to bake. And no, she doesn’t eat these Nutella Cake Bites all the time. Yes, they are special and I am not going to even pretend they are healthy. But they are delicious and small and so easy to make! 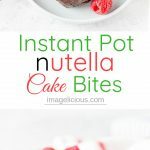 After such a huge success with that original recipe, I made these Instant Pot Nutella Cake Bites four more times to test out different variations and timings. So, here you’ll find lots of information on how to make them. 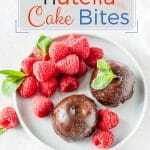 Making these Nutella Cake Bites is actually super easy. As with all my Instant Pot Recipes I like to provide the actual time it takes to make a recipe from start to finish including the time it takes for the electric pressure cooker to come to pressure and release the pressure. I am going to be generous and say that prep time is about 10 minutes, this includes measuring out the ingredients and filling the moulds. It takes another 5 minutes to come to pressure (that’s using boiling water), 18 minutes to cook, and 2 minutes to release the pressure. 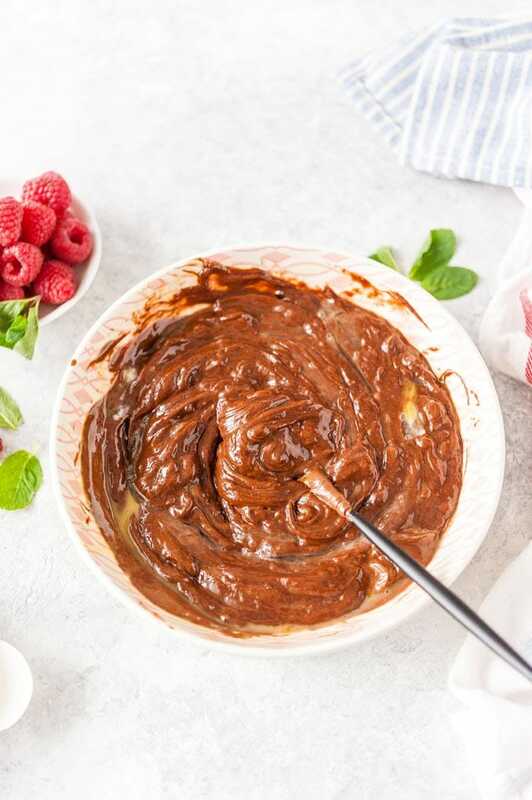 So, from the moment you start measuring the ingredients to the moment you take these 3 Ingredient Instant Pot Nutella Cake Bites out of your pressure cooker, it will be about 35 minutes. You could also add another 10 minutes of cooling time to that if you’d like. I made this recipe many times because I wanted to make sure it works with all the different variations that I tried. So, here are the options that you can do. 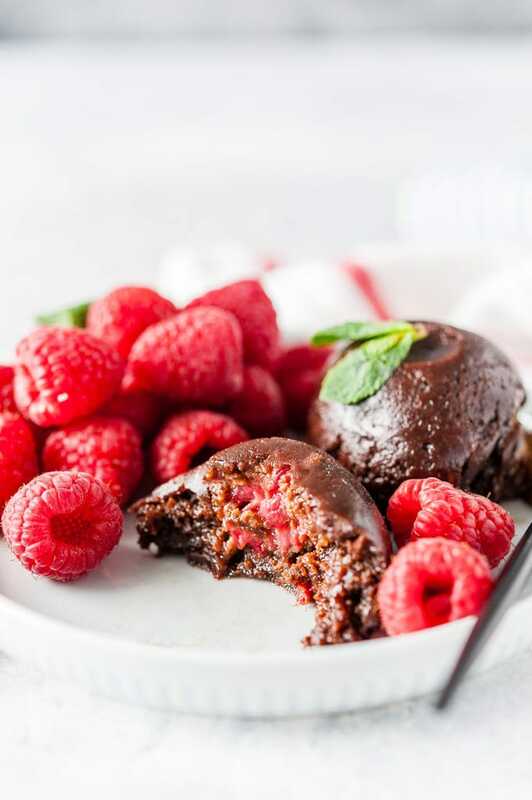 Rice flour cake bites with raspberries will have almost melting fondant texture. Rice flour cake bites without berries will be a bit firmer. Both will still have very soft texture, almost like molten cakes that are just slightly above molten. 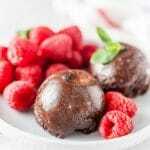 Regular flour cake bites with raspberries will be soft but firmer than with rice flour. Plain flour cake bites without berries will be the firmest of them all. 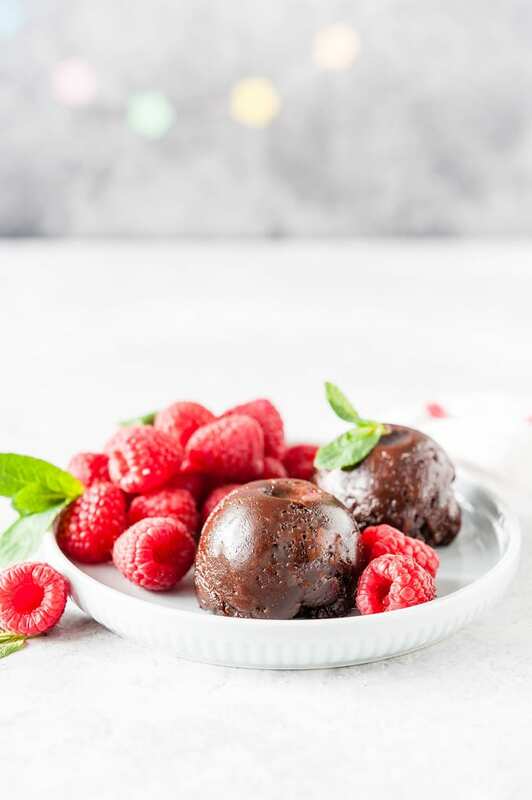 Plain flour cake bites will have a texture that is closer to soft fudgy brownies, firmer than fondant. 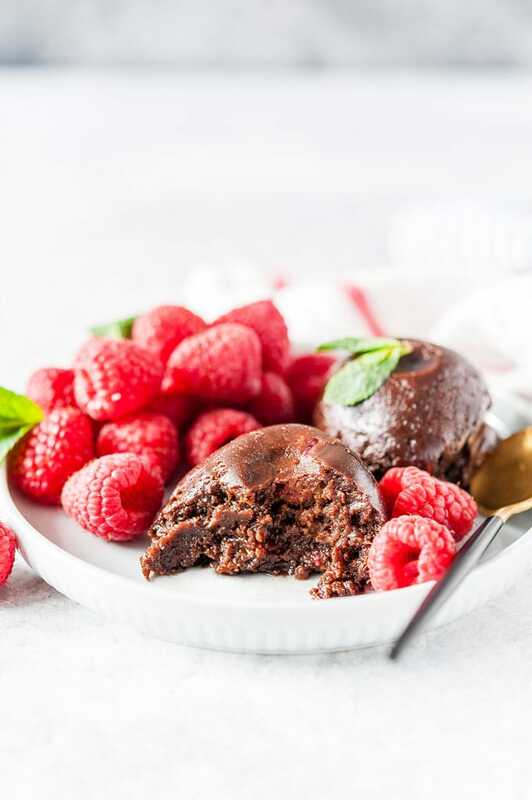 These Instant Pot Nutella Cake Bites can be stored in an airtight container in the fridge for up to 5 days. They will get firmer once cooled. You can eat them cold or slightly warmed up in a microwave. You can also freeze the Nutella Cake Bites. I recommend freezing on a plate or a sheet pan and then transferring fully frozen cake bites to a freezer-safe ziplock bag. Defrost at room temperature for a couple of hours. The texture doesn’t change after defrosting. Most likely they can be stored in the freezer for up to 3 months but I haven’t tried that myself. 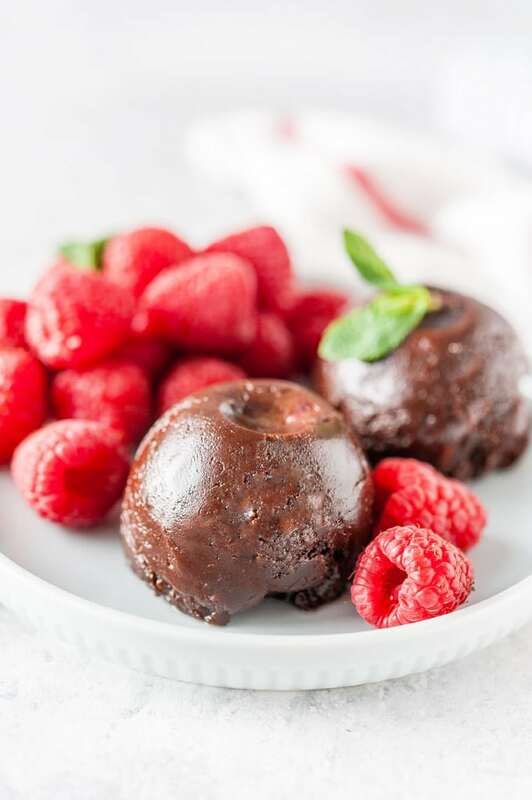 Raspberries: Raspberries and chocolate are amazing together and they are perfect if you are serving these Nutella Cake Bites for Valentine’s Day. Add 2 large whole raspberries per cake bite. Strawberries: Chocolate and strawberries is one of the most sensual combination, especially for Valentine’s Day. Add half a chopped strawberry per cake bite. Blueberries: Add 3 blueberries per cake bite for another delicious option. Blackberries: Use 1 large or 2 small blackberries as a filling per each cake bite. Cayenne pepper: Add a pinch of cayenne pepper to the batter for that spicy chocolate taste. Hazelnuts: Mix in 1/4 cup chopped hazelnuts for a nice crunch and texture contrast. 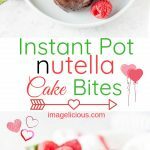 Do you have any other ideas on what you can add to these Instant Pot Nutella Cake Bites? Comment below! I’d love to hear! 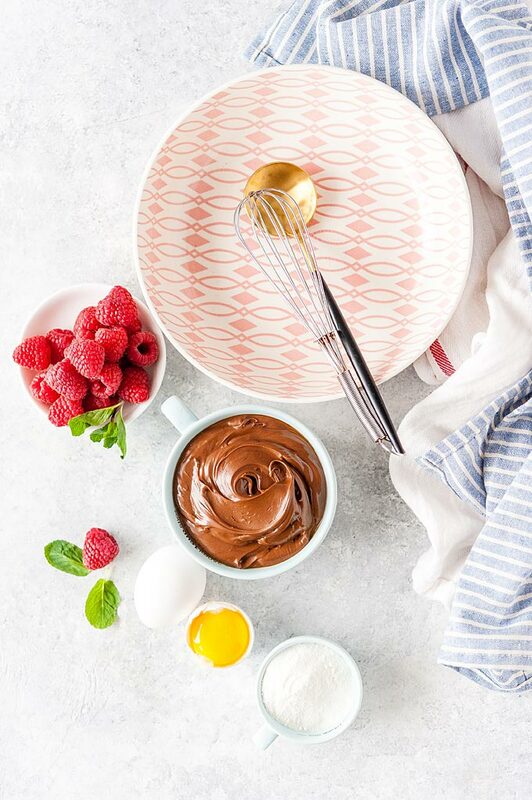 In a large bowl, whisk together Nutella and eggs until very well combined. 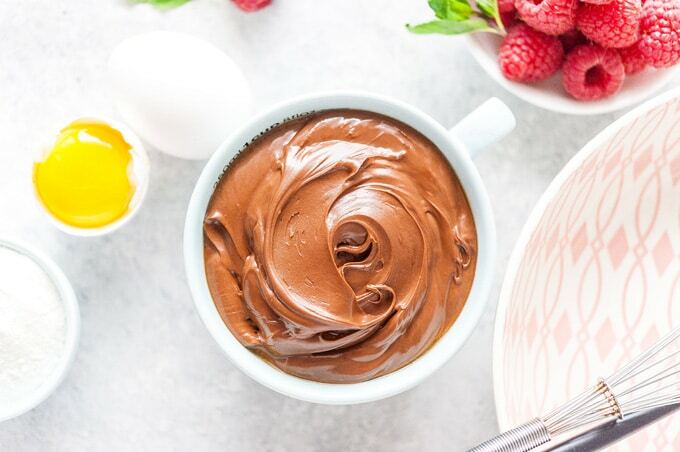 Make sure that all the egg is fully incorporated into the chocolate spread, otherwise the egg will scramble when cooked. 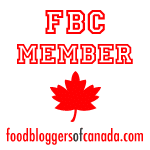 Add the flour (regular or gluten-free rice flour) and mix well. Spray the egg bites moulds really well with oil. Divide the Nutella batter evenly between each of the 7 egg bites moulds. 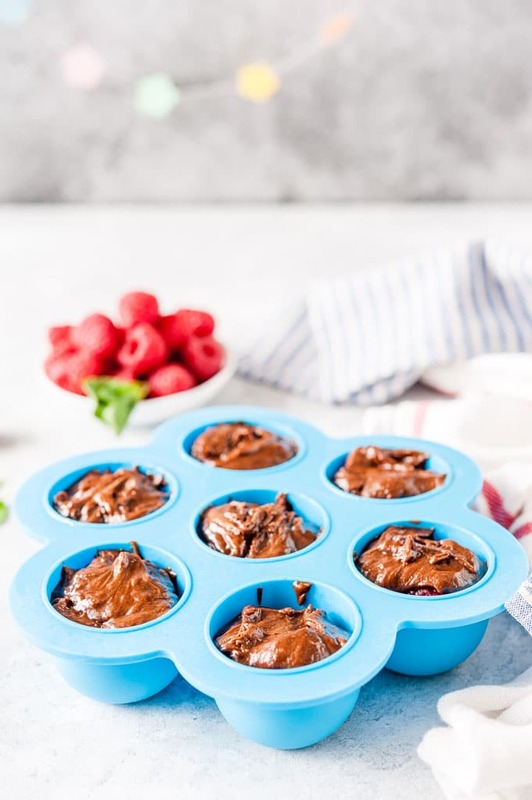 NOTE: if you are adding raspberries, then fill each of the 7 moulds half way, add 2 raspberries into each mould, then cover with the remaining Nutella batter. Place the trivet that came with your Instant Pot inside. Pour 2 cups of boiling water into your Instant Pot. 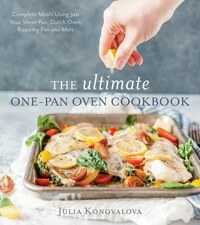 Place the filled egg bites mould onto the trivet. Press Manual or Pressure Cooker button (depending on your model) and using the arrow buttons set the cook time to 18 minutes. Depending on your Instant Pot model, it'll take around 5-6 minutes to come to pressure if you are using boiling water. Once the Instant Pot beeps that the 18 minutes of cooking are done, do a quick release. This will take about 2 minutes. Remove the egg bites mould out of Instant Pot and let cool for about 7-10 minutes. Serve with extra raspberries and mint. 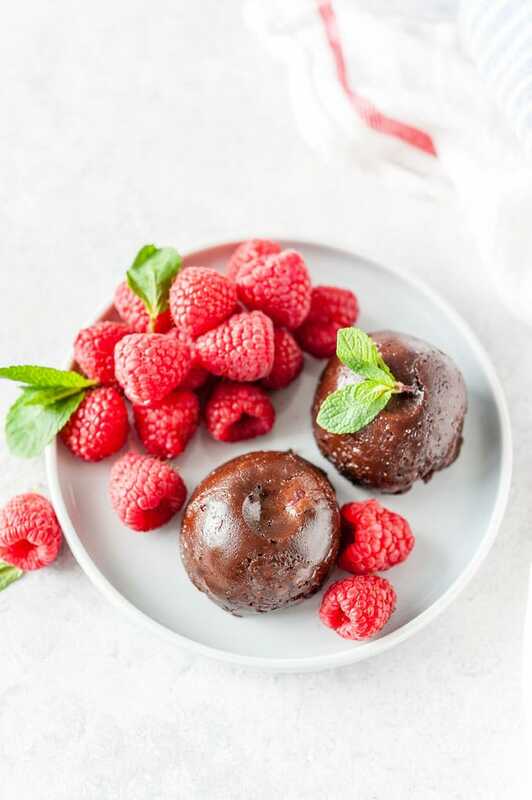 Read up in the blog post about the texture of these Instant Pot Nutella Cake Bites which depends on the flour that you use and whether there are berries in the cakes or not. I made the bites as directed and they were excellent. However, when the 18 minutes were up and went to do a quick release and there was no pressure to release. I used a cup and a half of water. The SSteel liner was dry but not discolored, I guess I should use more water? At least the bites were done. Very odd. Any thoughts? Most likely the seal wasn’t sealed properly, so the water evaporated and that’s why it was dry and there was no pressure. Happened to me a few times with other recipes, just make sure that it’s properly sealed. I had to get a new seal at some point after a few months of heavy usage. Made these as a snow day treat. Ate them warm! What a treat.